Closet Gallery’s creatively gifted owners-operators Lyndell and Darria Deatherage’s combined 27 years of experience in design and installation offer you a nearly limitless array of design choices. Realizing communication, promptness and reliability are key to having been referred by so many of their past customers, they have developed a kind of intuitive “sixth sense” with their clientele about how any given space should be planned. Not every closet space is created equal. That’s why Closet Gallery pledges to work with you as you decide together how to plan beautifully organized spaces that serve you and your family. Offering the highest quality materials and hardware with raised-panel and flat-front door options in a variety of beautiful finishes. Closet Gallery uses quality European hardware, customized jewelry trays, tie hangers and shoe storage, wire baskets and hidden storage spaces that provide a perfect mix of visible and hidden storage solutions. But it’s not just about closets! Closet Gallery can design amazing storage and display structures to fit any layout and dimension for any room in your home – including home offices, kitchens and baths, laundry rooms, game rooms, garage spaces, and kids’ rooms. That’s why A Closet Gallery is a perfect choice for you! 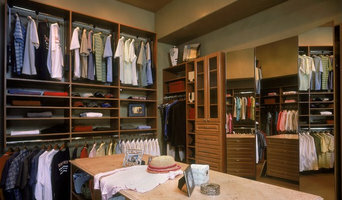 *Authorized Inspired Closets Dealer* Inspired Closets Sacramento, manufactures and installs custom home storage systems. Our products include Closets, Garage Cabinets, Home Offices, Murphy Wall Beds, Pantry Closets, Entertainment Systems & Kitchen Roll-Out Shelves. 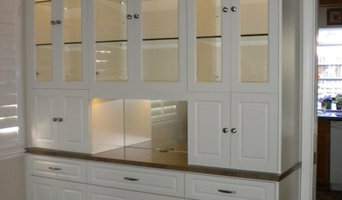 Call today for a free in-home design consultation and see what 3 Day Closets can do for you. From simple to elaborate and absolutely everything in between, I can help you create a sense of peace in any area of your home. I create high functioning and beautiful storage and organizational spaces that customers enjoy and appreciate on a daily basis. Working within any budget and any style, I show you how easy it is to create custom storage for the organization you need! More Than Organizing, Owner, Paulette Qualset has been Decluttering, Cleaning out, Organizing and Staging Interior and Exterior spaces for over 25 years. Her expertise shows through along with her passion to really work hard for her clients. If you are interested in the philosophy of “tidying” that needs your input, in fact- relies on it- it is my joy to offer KonMari Tidying, a revolutionary philosophy of home organizing that is as unique as you are. The questions I ask can only be answered by you- how do you envision your ideal life and how do you want your home to support you in those goals? Marie Kondo is the New York Times bestselling author and founder of KonMari Incorporated (KMI). KMI is an international business based in Japan that teaches people how to tidy, in the process organizing their homes and revolutionizing their lives. We begin with a complimentary consultation to discuss your home organizing needs. With our collaboration and my training, we will move quickly towards achieving your home organizing goals! Want to redesign a room or your whole home? Or are you verwhelmed by stuff or clutter in your office or home? There are many situations that contribute to organizing difficulty. Grief, trauma, major life events, depression/anxiety/ADHD, illness/injury, or general scheduling craziness. Don't let anyone try to tell you to just get it together, or make you feel guilty because organizing your space, paperwork or time feels difficult or impossible. Friends and family don't always understand - I do. Are you struggling with photo, personal and memorabilia accumulation? Or the overwhelming memories on your cell phone, laptop, iPad, tablet or even worse...on several CDs or VHS. We strive to organize the personal, business, digital and historical aspects of your estate so that others are not left with the burden. We assist you with a plan to future-proof your collection of photographs and vital documents. Home Edit and Organizing is just part of it's what we do. Whether you're looking for in home or virtual help, we strive to support from start to finish and beyond. Monkey Bars Garage Storage Systems is your garage storage expert. 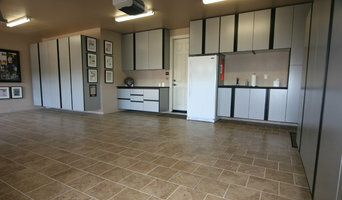 We specialize in garage shelving, garage flooring, garage cabinets, and overhead racks. We can help you get your garage organized. Do any of these situations sound familiar? • You’d like to invite the new neighbors over for dinner, but you’ve lost track of the dining room table. • Not only is the amount of mail you receive everyday staggering, but your running out of spots to stack it until you can get to it later……much later (if ever)! • You’ve been buying gifts all year for your family, but can’t put your finger on any of them in time for Christmas! • You decide it’s time to get organized, so you buy $100 worth of filing supplies and 4 weeks later you discover them under yet another pile of mail. • Every year you make the same promise to yourself, that this is the year to finally get it together! Let an expert simplify your life. Our goal is to get you organized quickly and efficiently. Our services can help you take a deep breath and feel in control of your stuff, instead of the other way around. Experts in home organisation can help streamline and organise your home life. They provide bespoke storage solutions and strategies to ensure everything in your Sacramento, CA home has a place and you can live comfortably. Some can help you regain control of your entire house, while others specialise in specific areas, such as wardrobes, offices, paperwork and collections. They also provide coaching so that you can maintain your new organised space. Find a wardrobe, storage and organisation expert on Houzz. 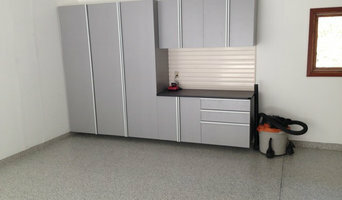 Scroll through this page to find Sacramento, CA professionals who can design and install storage solutions, as well as provide home organisation services. You can browse their previous work, read reviews and see how other homeowners rate their customer service, product and expertise.